During the implementation of cloud within a business, one of the primary concern is data security. Organizations need to identify the security measures before final implementation. Businesses still a fear of data insecurity with the cloud system. Information technology experts wanted to enhance their security level with cloud implementation as they’ve for internal resources. It has been observed that businesses are considering cloud security and integrity as vendor’s responsibility. But an enhanced security and solution integrity is actually an outcome of a collaborative effort of business owner and vendor. How Cloud Security and Integrity Could Be Enhanced? 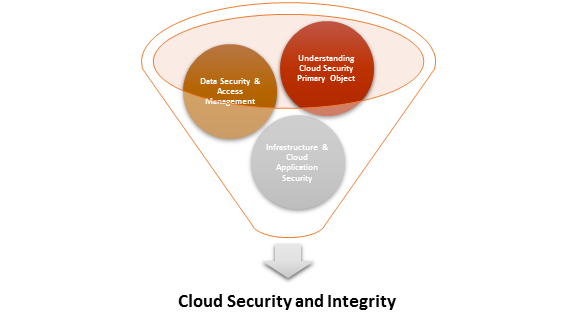 Cloud security and integrity is actually an outcome of the software vendor and business owner. It could be efficiently enhanced by understanding following steps. Along with IaaS model, cloud software vendor only offers physical or virtual infrastructure. At this level, users are the administrator of system infrastructure, network, data as well as application. While PaaS allows the cloud service provider to manage complete infrastructure. It also includes middleware components. Software-as-a-Service (SaaS) is a model where the cloud software service provider is actually responsible for everything whether it is the application of infrastructure management. In this system cloud customer or the business owner only add, update and access their data. In case of IaaS, all of the data security measures are the accountability of users. Whereas other models authentic cloud service provider to secure their database with enhanced tracking and right tools. But the user is fully responsible for the data as well as the content itself. Endpoint security is actually formed consumer end and requires to access cloud software. In SaaS model, this is the only accountability user related to its infrastructure. Although in IaaS cloud model user is responsible for network security and communication encryption. These responsibilities are transferred to the service provider in PaaS & SaaS. They need to implement security measures by using recommended tools. Assurance of physical security is undeniably the responsibility of cloud software provider. The cloud software service provider may enhance their support for the organization by sharing essential security guidelines and rules. They may define and communicate the standards for cloud security and integrity enhancement. Cloud security and integrity is actually a mutual collaboration. It is quite crucial to identify and segregate security measures from among both stakeholders. It has been clarified that both vendors, as well as a user, are the responsible. They need to put efforts from their own ends and collaborate to enhance security.